If you’re a fan of Sarah Michelle Gellar, chances are you saw that the actress reunited with her Buffy the Vampire Slayer cast after 20 years (who’s counting?) for a cover and feature in Entertainment Weekly. But in addition to being known for killing it on the big and small screen—her most recent projects are the made-for-TV Cruel Intentions movie, Robot Chicken, and Scooby Doo!, according to IMDB—the native New Yorker is focusing on off-screen ventures, all in the name of food. 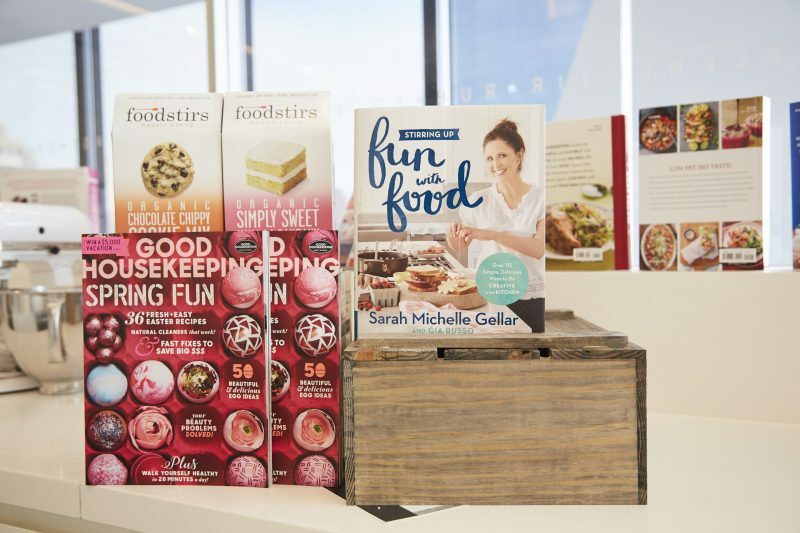 In 2014, she launched Foodstirs, an organic DIY baking kit and subscription service featuring six ingredients that’s kid- and New Yorker-friendly (for takeout enthusiasts, that is). Now, Gellar is in New York promoting her new cookbook titled Stirring Up Fun with Food. 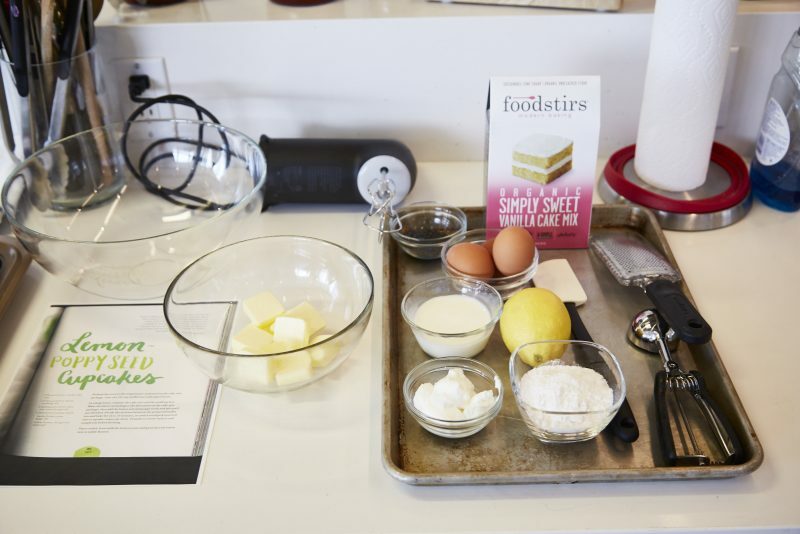 We met her at the Good Housekeeping test kitchen yesterday, where she hosted a cooking class for editors featuring her delicious—and addictive—kits and dished on her new book. Sarah, there’s a stigma that most New Yorkers don’t know how to cook, but that clearly doesn’t apply to you! It did! But it all changed once I moved to Los Angeles and I realized that takeout didn’t exist. That’s my joke, but it also happened just as I became more aware. There’s this thing called the internet now, and there’s all this information available on it that makes you that much more aware of where food comes from, what it’s made of, and what it does to you. Why did you decide to capitalize on your interest in food and launch your own business? It was a natural progression. I was at a point in my life where I liked to challenge myself and try new and different things. We saw this whole new marketplace and I thought if someone is going to do this, why not me? You’re a mom, actress, and entrepreneur—how often do you find time to cook these days? I cook for a living! Whether it’s at work or at home, there’s food being made every day. It’s fun to see when my fans will post [on Instagram] what they make and how something I’ve done inspires them. That’s always really fun. Stirring Up Fun with Food features over 115 recipes. That’s a lot! It was hard! Once we decided to lay out the book by month, it was a little easier to figure out what to do. I love the asparagus fries and the ideas in the “Shark Week” and “Star Wars” chapters. I did a voiceover for one of the characters in Star Wars, which made me a part of the Star Wars family. Would you ever open your own restaurant? That’s too much work. That requires you being there every day. You can’t just put your name on it—I don’t do something unless I give it 100 percent, so there’s just no way. Your husband Freddie Prinze Jr. went to culinary school. What’s his role in the kitchen? He does the big meals. When it’s Thanksgiving, I back away and let him get to work. But I’ll help! For sure—that’s how my kids started getting interested in cooking. We watch Junior Bake Off and MasterChef Junior—I was actually a guest judge on that show. It was really tough to say no to those kids! Have you had any cooking nightmares? I believe that failure is just your first attempt in learning. We’ve all burned our first pancake and and we all have forgotten to add the butter in a recipe. You either make it work, or make it again! You’ve tapped into many categories throughout your career. Are there any others on your bucket list? If you told me that I would be doing this five years ago I would’ve been like “What?” So who knows! People seem happy about it, so I’m happy to hear it!